Canada receives the most migrants every year. Every year about 200,000 people are permitted to come into Canada as permanent residents. Once the application process for Canada permanent residence is completed then they have an opportunity to start an innovative life in this country. 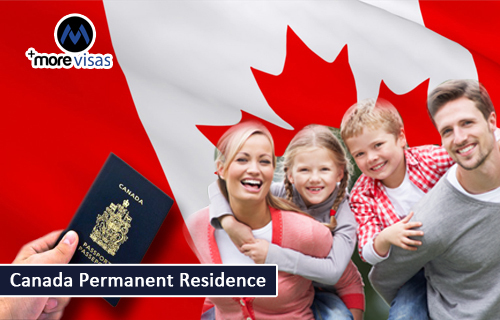 Once granted to enter the country like a permanent resident then the candidate will obtain a permanent resident card and enjoy all the similar rights as Canadian citizens. Family Class Immigration: If the candidate has any close family members who are permanent residents in this country they can assist you to get permanent residence. About 40% of all migrants of Canada are sponsored by their family members. International Adoption: The permanent residents of this country are allowed to adopt children from overseas countries. Canadian families intending to adopt children have to be able to sponsor them for more periods, and be committed to raising the child and pursuing his or hers best interests. Provincial Nomination: This process permits a territory to nominate persons that they wish to include in their selection for immigration and settlement if they have a specific province in mind that they would like to immigrate and settle in. This process requires the candidate to get in touch with the agent immigration office within the target province and apply for nomination to that region. After this nomination has been executed, the candidate has to apply to the Citizenship and Immigration Canada. Business Class Immigration: Under this class there are again three classes like entrepreneurs, investors, and self-employed persons. Entrepreneurs are also needed to exhibit business experience in possessing and running businesses or in owning a share or percentage of an enterprise. Investors are required to display the experience in the business. These are the various types of immigration classes for obtaining Canada permanent residence. If you are interested to migrate to Canada, fill out our Enquiry Form, so we will approach you. And for more immigration updates follow us at Facebook, Google+ and LinkedIn.